Collateral has set a benchmark in narrating stories that evoke attention. One such story of celebration stirred up excitement with our Navratra creative. 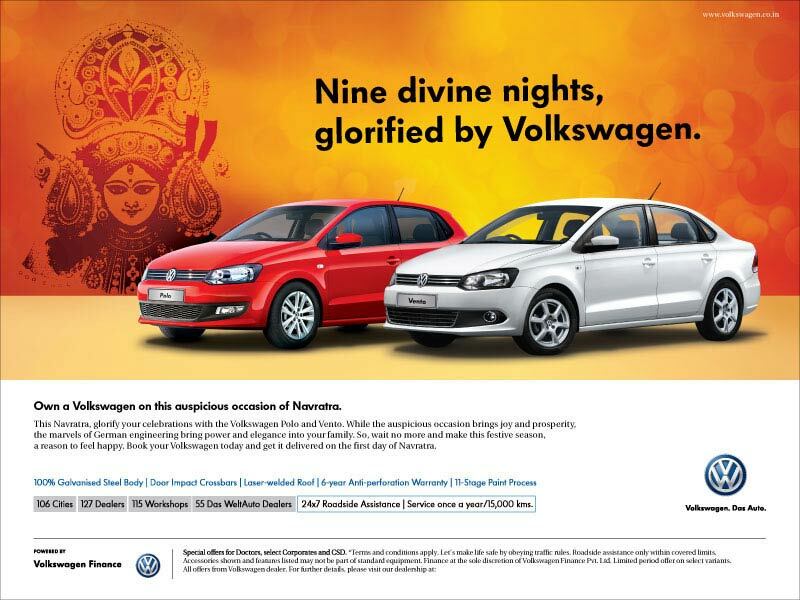 Volkswagen released press ads in North India, where this festival is celebrated with lot of enthusiasm. As a limited period Navratra offer, Volkswagen also offered assured 10 grams gold coins to customers on every booking and attractive cash benefits on the Polo and Vento. Owning a Volkswagen was made so enticing that the nine day festival was celebrated for much longer.